Suit up, ladies! I am here to share with you an awesome collection of women's blazers and best ways how to make them look good on you next 2018. This outerwear garment not only compliments your silhouette, but also adds an impressive touch, no matter if you wear casual or formal clothes. Blazers look great on slender and even on overweight girls, that's why women love it so much. All you need is to find a jacket in a balancing color and work it with your top and bottoms. Trust me, your closet is missing so many beautiful blazers, so why don't you buy one of these creations. 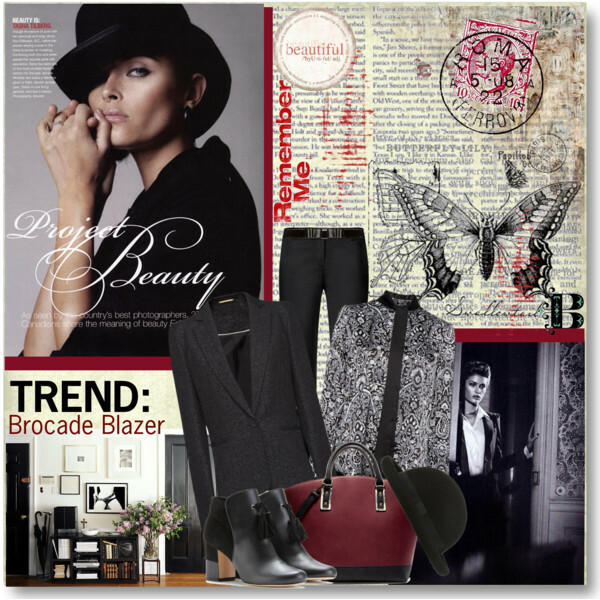 I gathered my favorite selection of chic Polyvore sets you all can give a try this year. Every outfit idea showcased below is surprisingly chic and versatile. Below are listed my favorite styles you can buy. All in white, why not! 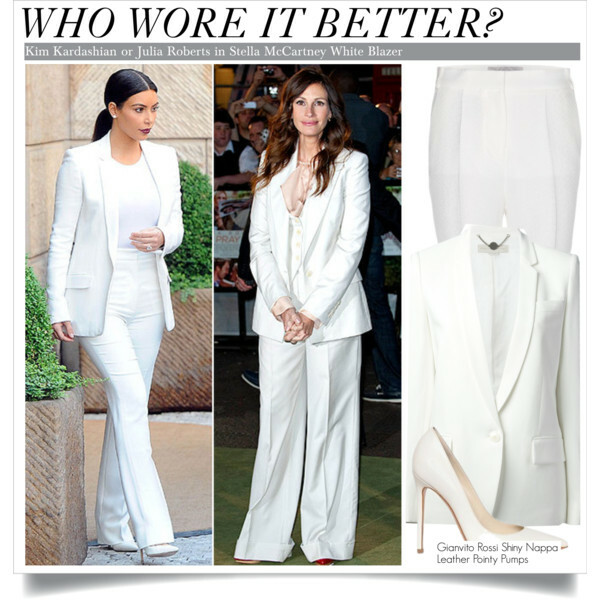 We see a totally white look that consists of white blazer, top and trousers, as well as white pumps. 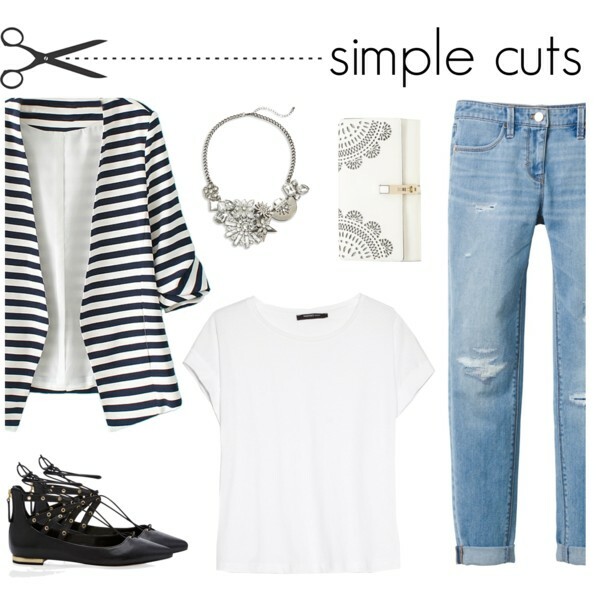 As you can see, there is a chance to go either slim fit or give a try to a slouchy look.